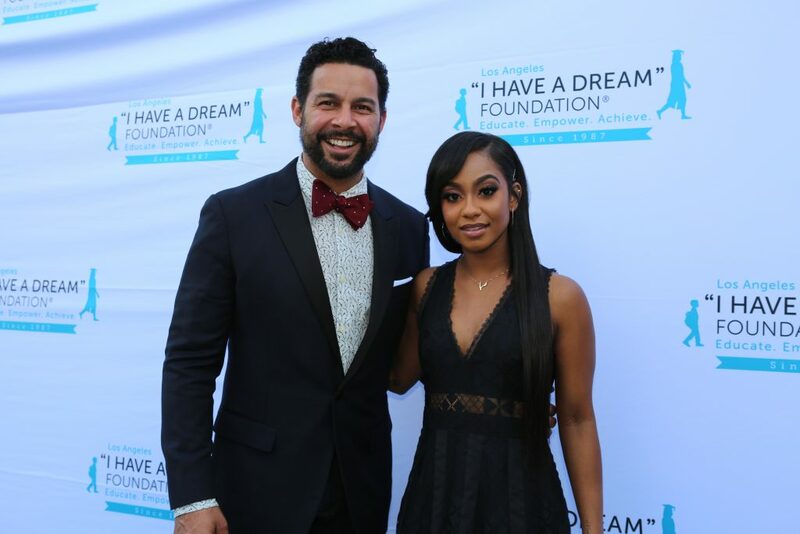 The “I Have A Dream” Foundation Los Angeles (IHADLA) held their 6th Annual Dreamer Dinner on Sunday, March 31, 2019 in the Ahmanson Ballroom of The Skirball Cultural Center. 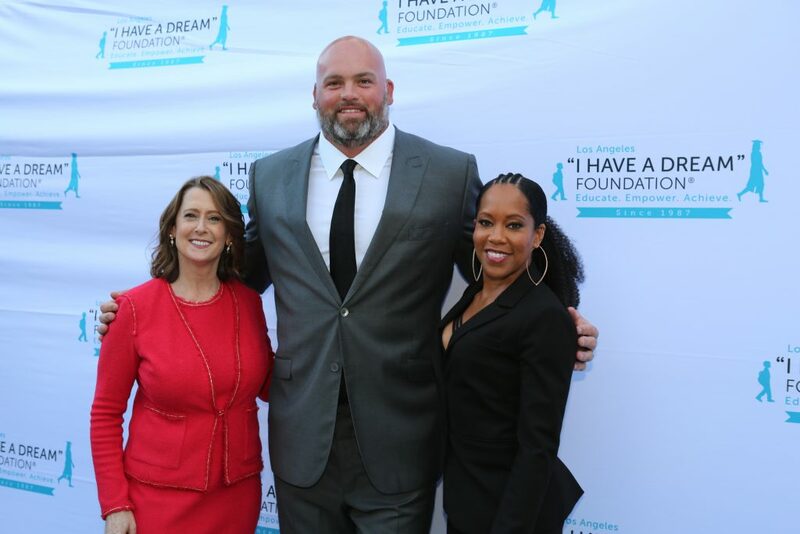 At the top of the evening Academy Award winner Regina King introduced “I Have a Dream” CEO and Executive Director Pamela Miller who took the stage to discuss how the organization is continuing to make an impact throughout the community and thanked Regina King for her unwavering support. The night began with cocktails, hors d’oeuvres and a silent auction, followed by an award ceremony, dinner and live auction. During dinner, guests enjoyed seeing actress & comedian Melissa Peterman (Baby Daddy, Reba) in her sixth turn as emcee for the event. Peterman began by introducing a Dreamer chant followed by her annual tradition of sharing a joke from the Dreamer students which drew a big laugh from the audience. The night got even livelier once the live auction kicked off where King took the stage once again offering a lunch date to lucky bidders. The evening concluded with an impromptu auction from Jon Huertas offering bidders a chance to have lunch with him and his two This is Us cast-mates Mandy Moore and Justin Hartley who were not present during the program. The “I Have a Dream” Foundation Los Angeles (IHADLA) was established in 1987 as the second affiliate of the national “I Have a Dream” Foundation, which was founded in 1981 to combat high school dropout rates among inner-city youth in Harlem, New York through guaranteed college scholarship support. Building upon national’s model, IHADLA provides long-term support to children and youth living in under-resourced communities to help them achieve their full potential, by promoting from an early age, values of higher education and career success, with opportunity guaranteed through financial resources, and other services. Utilizing a “whole-child” educational approach, we provide entire grade levels of students with 12+ consecutive years of individualized academic, emotional and experiential support, from 1st grade through high school, and into college. Upon completion of high school, each student is eligible for an $8,000 scholarship to be used for post-secondary education. Our comprehensive program includes: academic support (in-school, after-school, Saturday Academy, summer school), college and career readiness; Dream Speakers; STEM/STEAM enrichment activities, field trips and career exposure; life skills development, parent engagement, mentorships, internships, social-emotional learning, case management; and college tuition support to assure their best outcomes for employment and life success. For over 30 years, IHADLA has cumulatively impacted over 11,500 individuals including students, theirparentsand siblings. IHADLA currently serves nearly 500 youth from Boyle Heights, Watts and Inglewood towards completing high school, attending and completing college, and pursuing fulfilling careers. IHADLA has a proven track record: 98% of their most recent Class of 2018 12thgraders from Inglewood graduated high-school on-time, with 75% college enrollment. Among the colleges they currently attend include UC Berkeley, UC Riverside, and Spelman College. For inquiries regarding The “I Have A Dream” Foundation and their program initiatives, please contact: Kelly Trevino ([email protected]) and Pamela Miller ([email protected]) or visit ihadla.org to learn more.